The program is based on bidirectional communication between RSTAB and the add‑on modules. 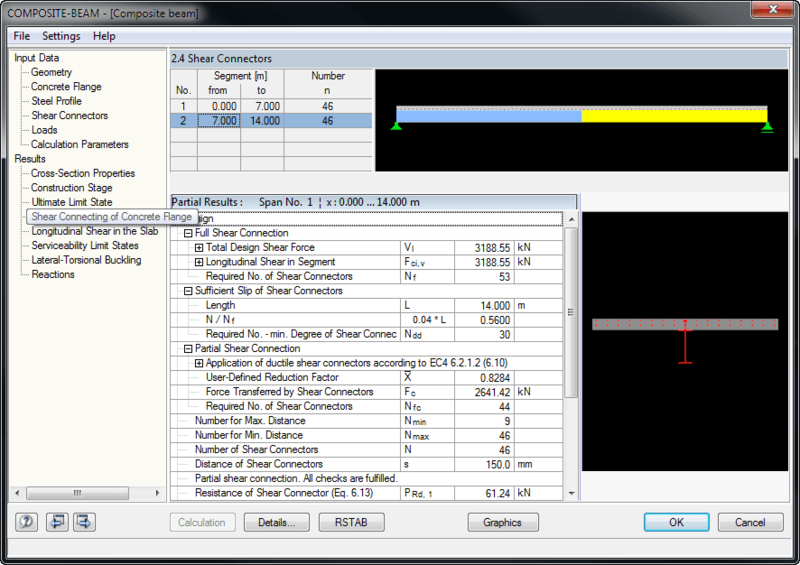 However, an RSTAB license is not required for using COMPOSITE‑BEAM (stand‑alone operation is possible). 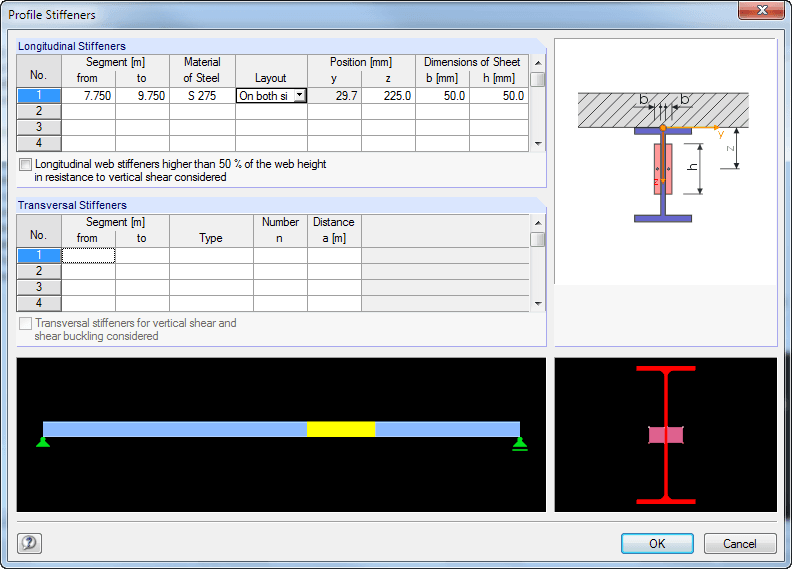 When entering the structural model, you can define single-span and continuous beams with or without cantilevers. 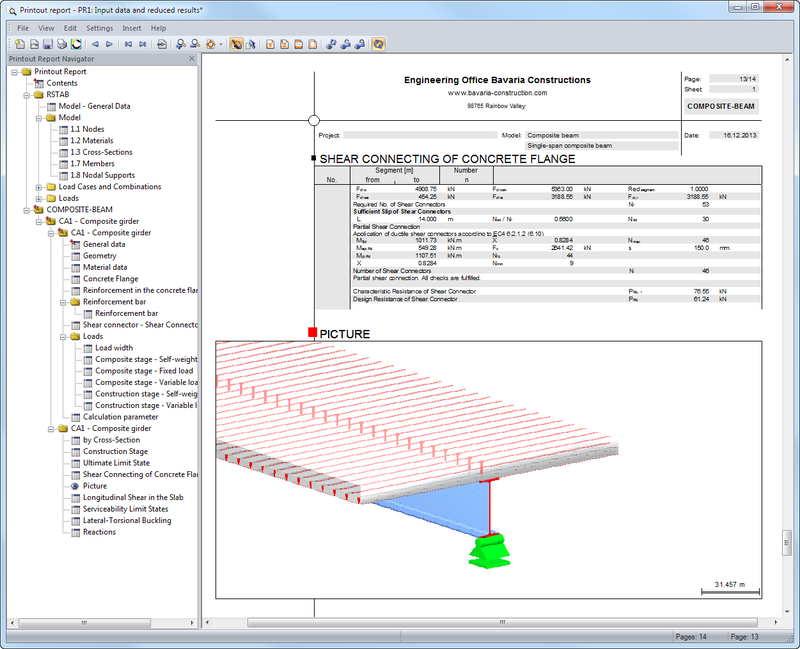 Furthermore, it is possible to specify different span lengths with definable boundary conditions (supports, releases) as well as any construction support and moment release in the construction stage. For a complete cross-section, you can create typical composite beam sections on the basis of steel girders (I-sections) with solid concrete flanges, precast plates, trapezoidal sheets or tapered solid ceilings. 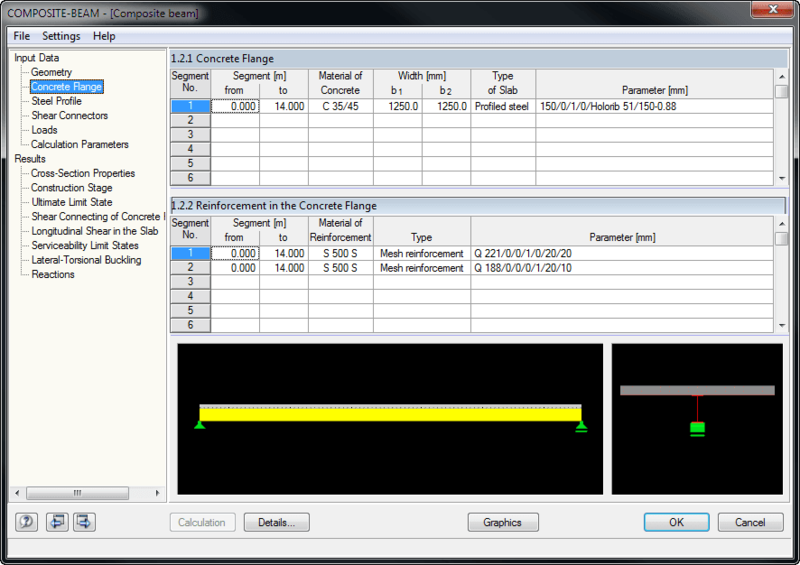 It is also possible to grade cross-sections by means of beam lengths, optionally with concrete encasement. Illustrative figures facilitate the entry of additional transverse reinforcements for trapezoidal sheeting, profile stiffeners and angled or circular openings in the web. 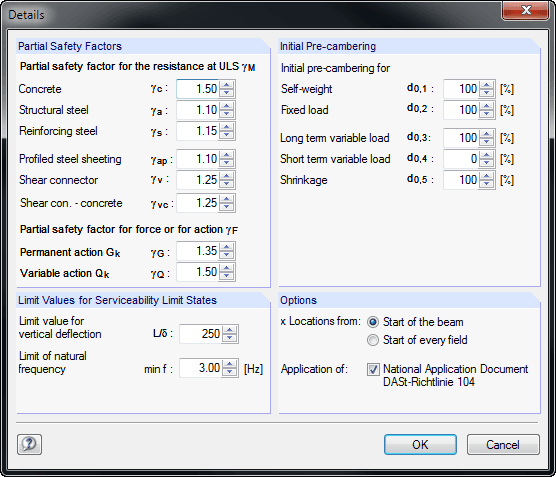 The self-weight is automatically applied when entering loads. In addition, it is possible to consider fixed and variable loads by specifying the concrete age at the beginning of loading for creeping, and to define single, uniform and trapezoidal loads freely. 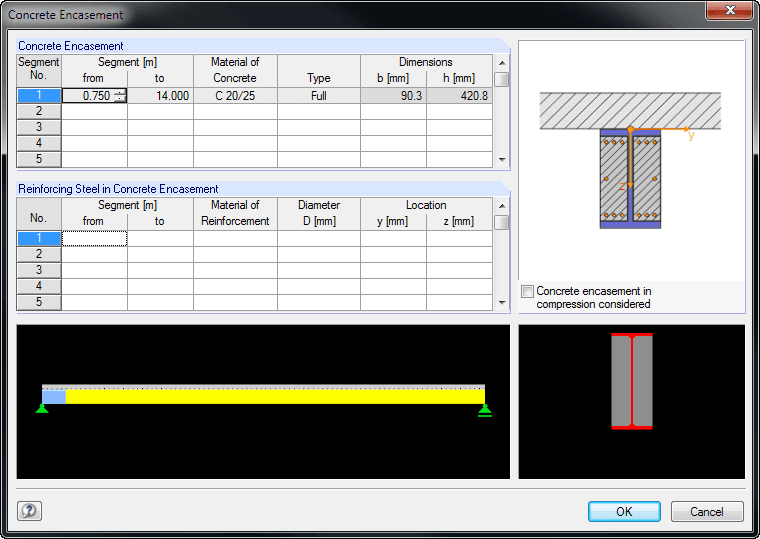 COMPOSITE-BEAM automatically creates a load combination based on the data of individual load cases. 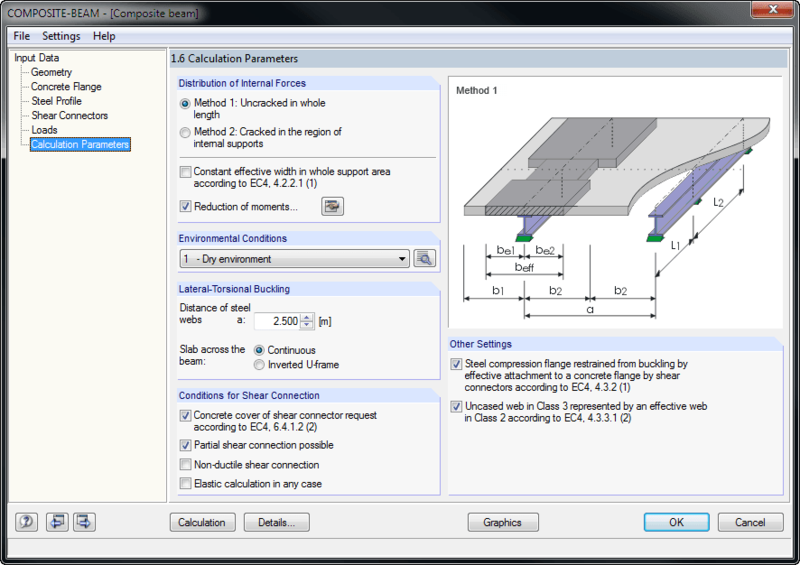 Internal forces can be determined according to Method 1 (uncracked in whole length) or Method 2 (cracked in the region of internal supports). 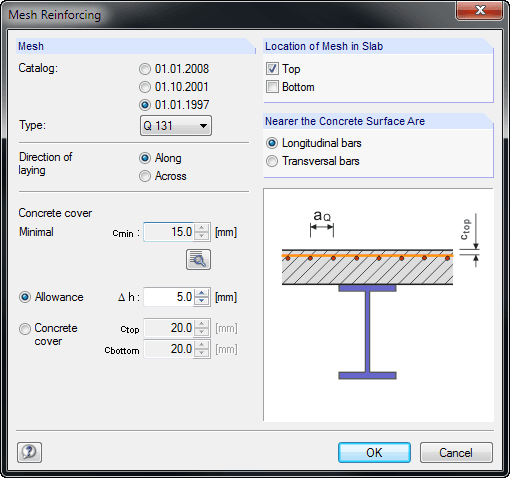 In both cases, you can consider the constant effective width of the concrete chord in whole support area according to ENV 1994-1-1, Cl. 4.2.2.1 (1) as well as the reduction of moments. 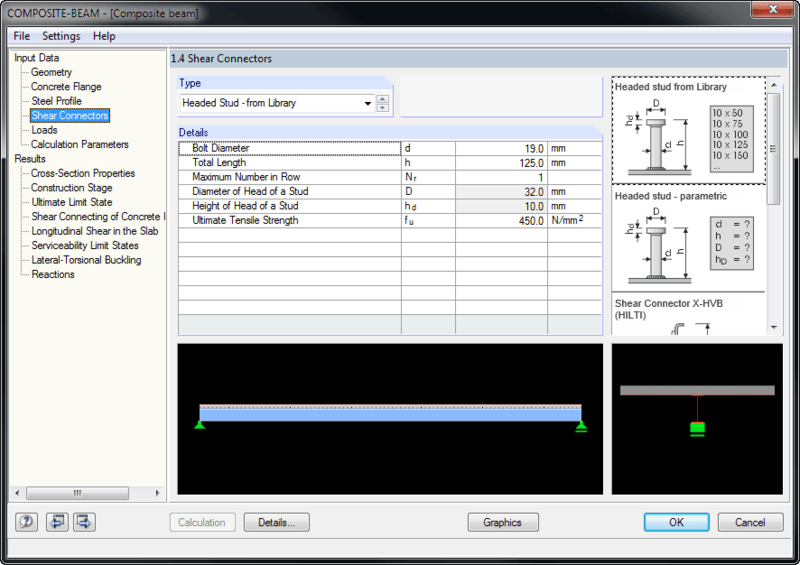 Internal forces for the design of shear connectors can only be determined by the elastic calculation of internal forces using the RSTAB analysis core (no RSTAB license is required). 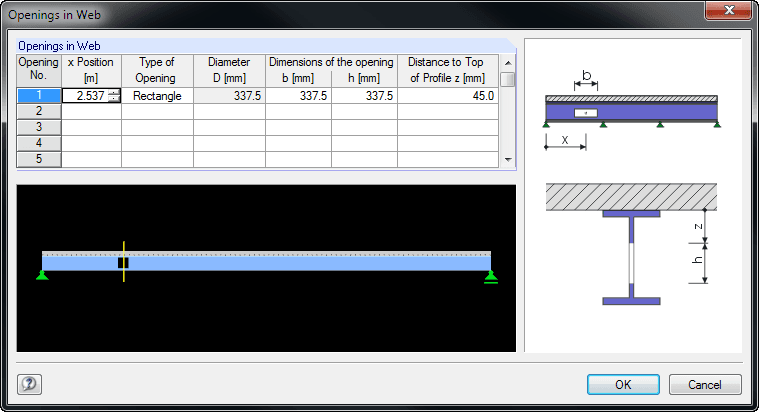 The calculation performs fully automatic determination of the effective cross-section properties at the respective points of time, considering creep and shrinkage. In the RSTAB user interface, the structural models are created as a member structure including all boundary conditions and loading. 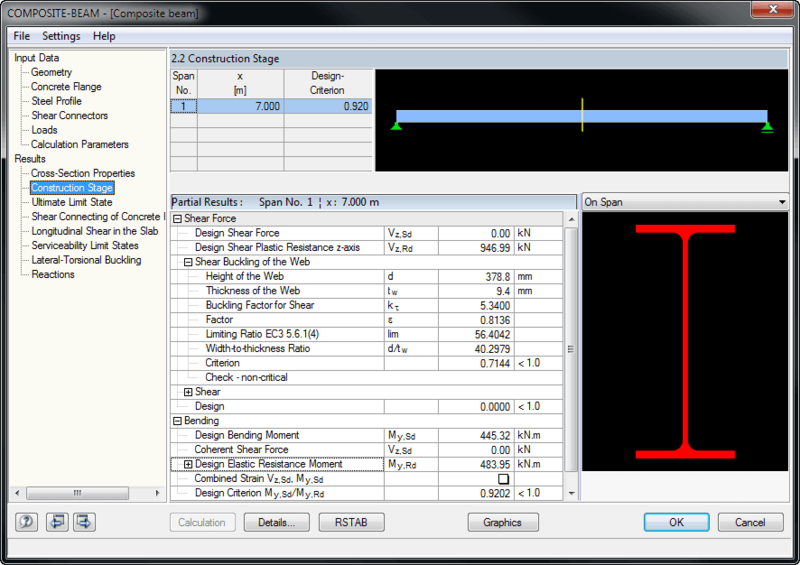 In this way, a reliable calculation of internal forces with the effective cross-section properties is ensured. Results are displayed in result tables sorted by required designs. 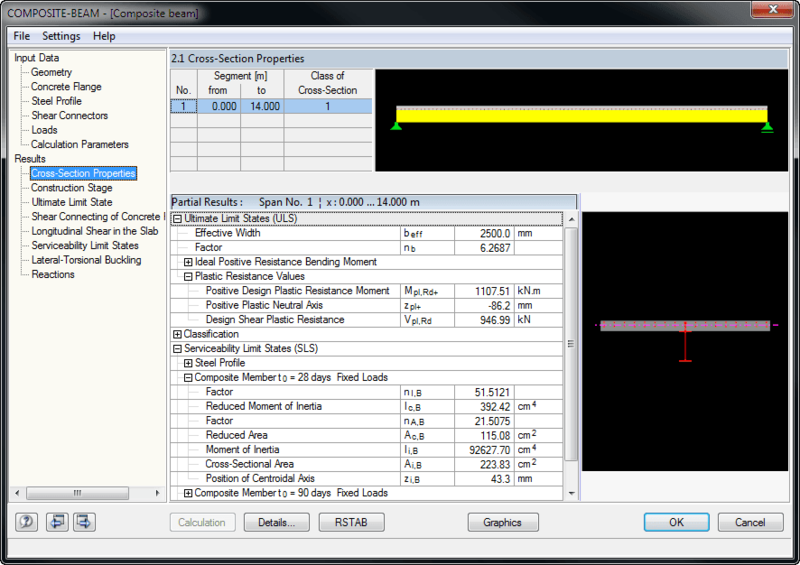 Clear arrangement of the results allow for an easy orientation and evaluation. All data is documented in a clearly-arranged printout report including graphics. In the case of any modification, the printout report is updated automatically. 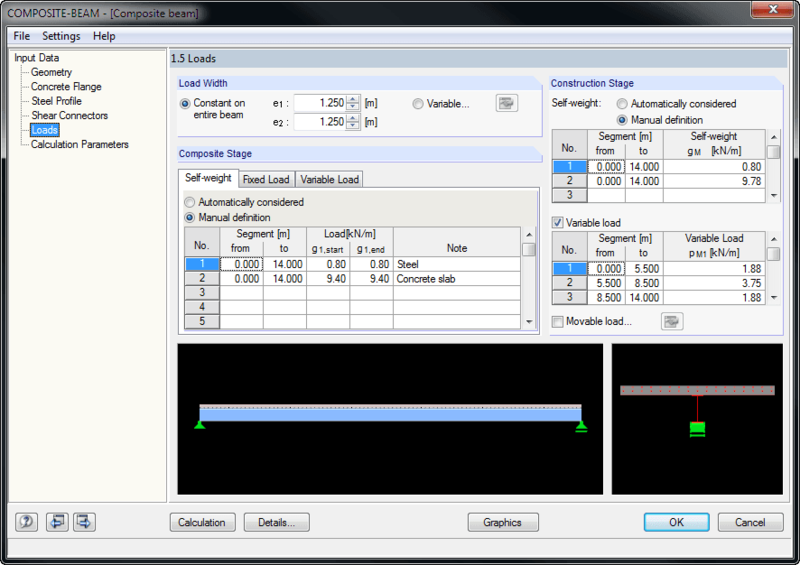 COMPOSITE-BEAM is a stand-alone program and does not require the RSTAB license.